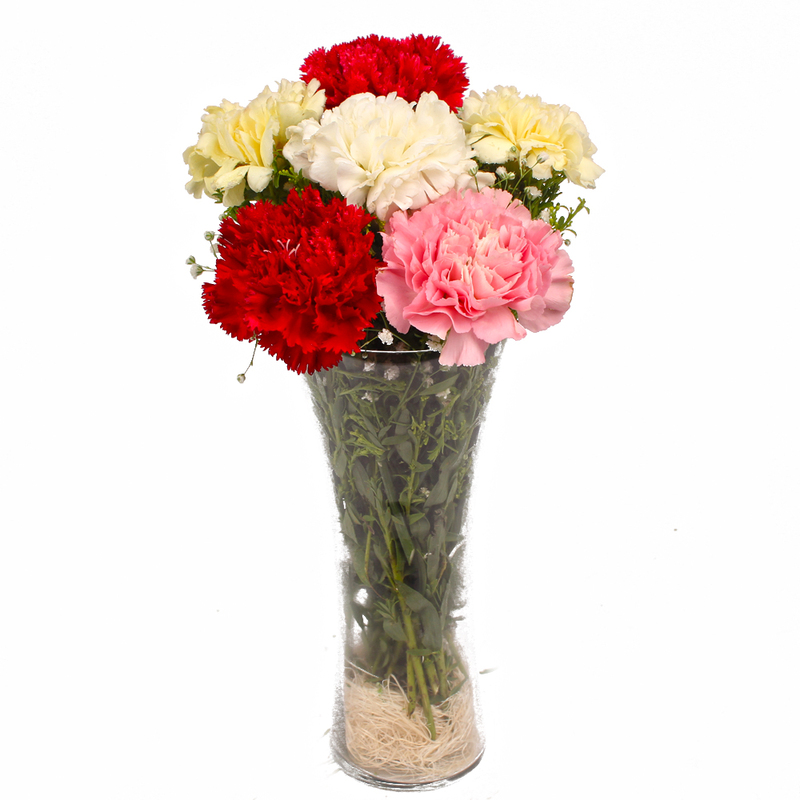 Product Consist : 6 Mix Color Carnations with Green Fillers in a Glass Vase. 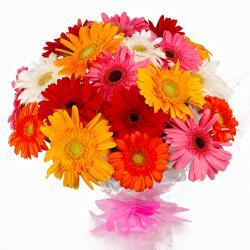 This special gift pack is definitely unique and deserves a place on your shopping list this season. 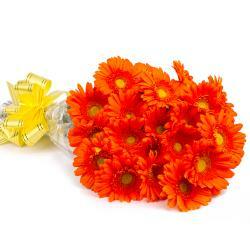 This pack will enthrall your near and dear ones with its bunch of Six Mix Carnations arranged in a Vase. 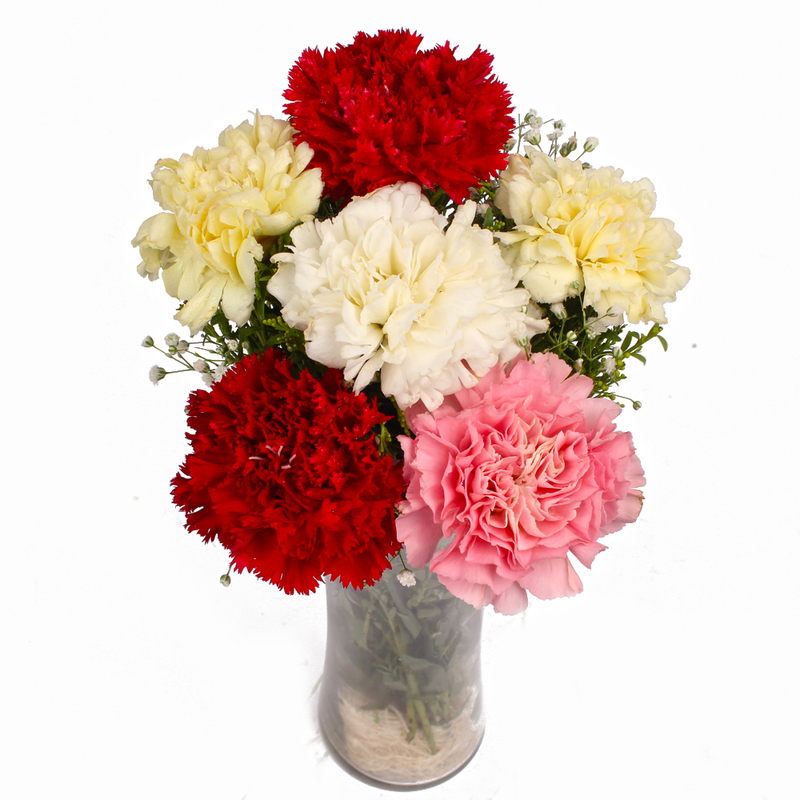 These carnations have been immaculately packed in cellophane and come with a matching ribbon bow on top for company as well. 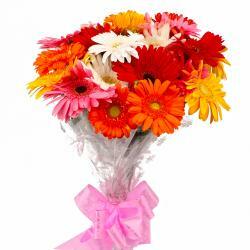 This pack is the perfect mixture of elegance and heartwarming charm and is ideal for special occasions like Birthday, Anniversary, Sorry, Onam, Parents Day, Valentine s Day, Diwali, Bhai Dooj and among many others. 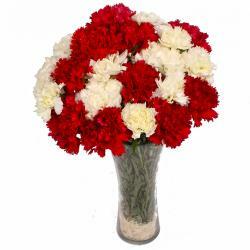 Product contains : 6 Mix Carnations with Green Fillers in a Vase.